Today has been all about InPlant offices. A modular office can be a big bonus in industrial spaces. 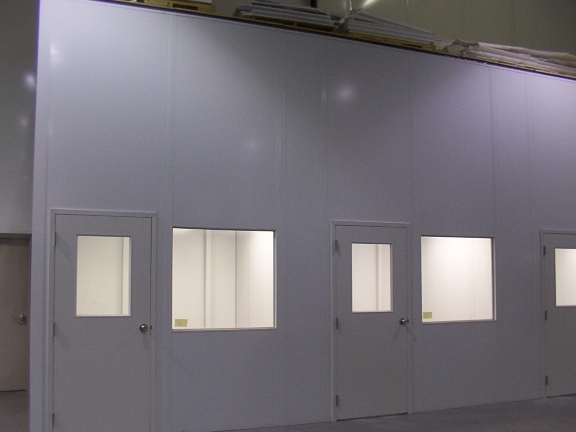 For a company that needs a warehouse office, lunchroom, storage areas or wants to cut noise and dust from a manufacturing area, modular InPlant offices offer many advantages. Some companies think that general construction is better, but there are many disadvantages to stick building a structure. Modular offices ship in about 4 weeks and are fully assembled on the site, often in a couple of days. There is no mess, drywall dust or paint needed. If your company moves, then you can just take that structure along. Not so for constructed offices. Changing configurations or adding additional space is a breeze with modular systems. Since the IPO depreciates as equipment, your ROI is much better than 39.5 years of depreciation for construction. A big benefit of InPlant offices is the sound reduction quality. A standard office can reduce the noise level 32db from the ambient plant noise. There are special panels available at a nominal cost that offer a 41db decrease. This entry was posted on April 23, 2010 at 1:55 pm and is filed under Material Handling. You can follow any responses to this entry through the RSS 2.0 feed. You can leave a response, or trackback from your own site.